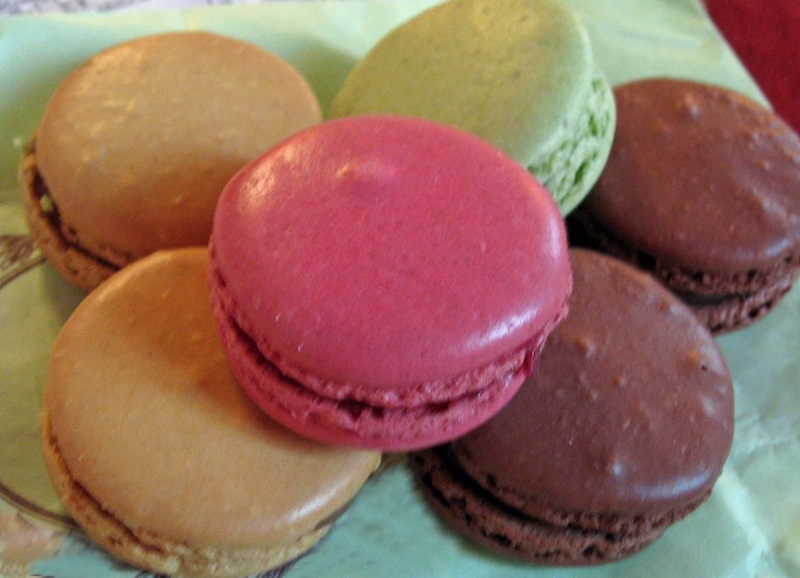 French macarons are a classic pastry - well, almost a confection. Airy little pillows made from ground almonds, powdered sugar, egg white and granulated sugar that seem destined to replace cupcakes as the most popular snack. But two to three dollars for a cookie - I don't think so! WARNING: Do not make on a humid day! 50 grams of egg whites - yes, you do have to weigh these. Eggs vary in size (even though the package says they are "large") and people have different ways of separating them. Have them at room temperature and don't use the freshest eggs. Some people even leave them out, covered, for a day or two. Flavoring and coloring as desired. 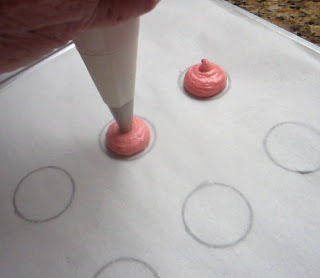 Note: use gel or paste colors rather than liquid. Have everything at hand before you begin. Place the ground almonds and powdered sugar in a processor and whiz for a minute or two. Transfer mixture to the sieve and strain into your bowl. Discard any little bits left in the sieve. Start beating the egg whites slowly, gradually increasing speed, add the granulated sugar in thirds and beat until stiff peaks form. 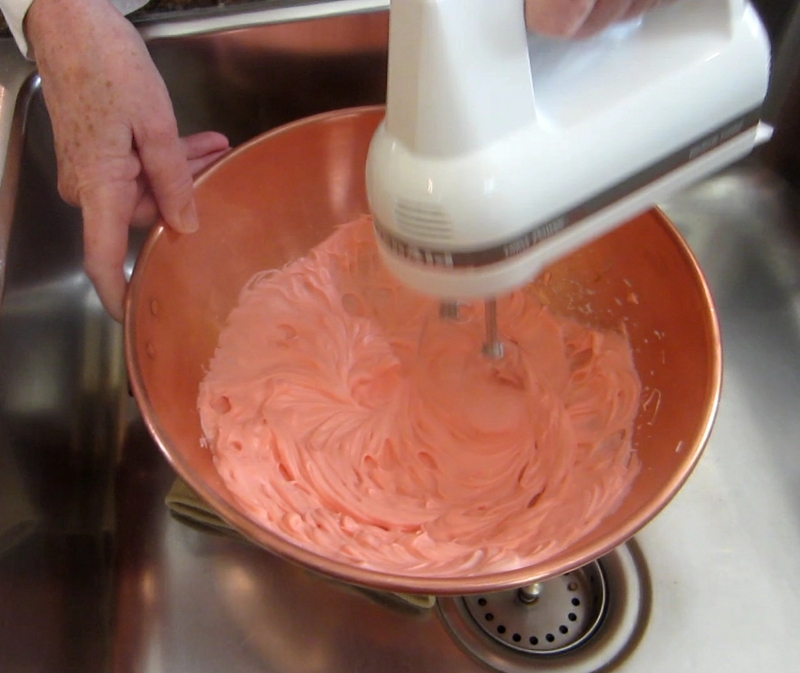 Add a teaspoon of flavoring and paste or gel coloring. 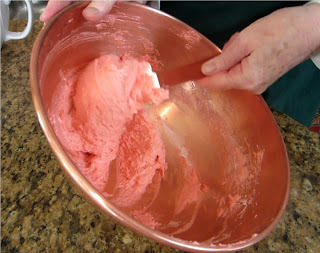 Using a rubber spatula, fold in the almond mixture by thirds until it is well-incorporated. The mixture will just start to thin a little. Transfer to the pastry bag. Holding the bag vertically pipe small circles out onto the parchment lined pastry sheets. I have made a template on a sheet of parchment using a black magic marker and simply put that under the sheet I am piping onto. 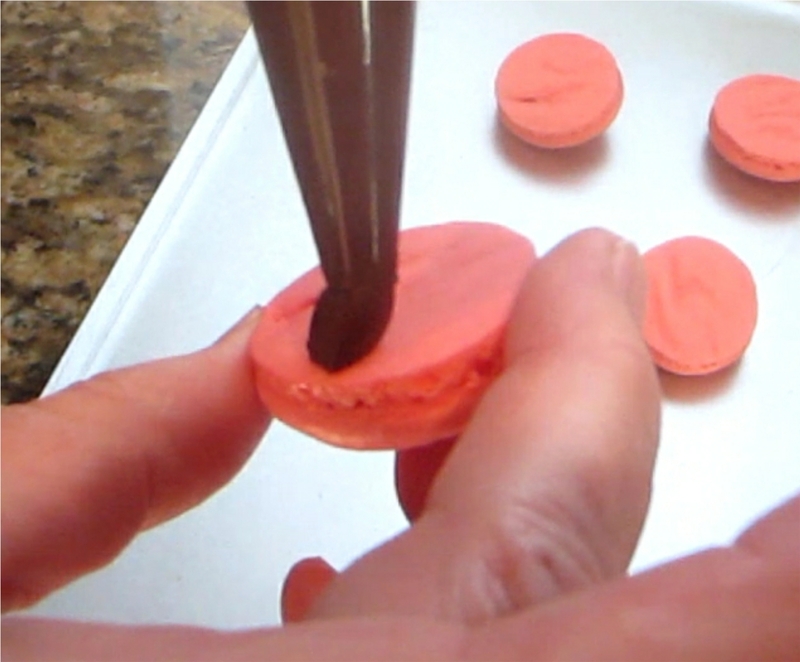 Let the macaron sit at room temperature for at least 30 minutes until they develop a "skin". You can tell when they are ready by touching them lightly - they will no longer feel tacky. Put them in a 220º convection oven on the lowest shelf and back for about 18 minutes. If you don't have a convection oven, bake at 245 - 250º. Ovens very greatly so you may have to adjust a few times before you find just the right setting. Allow the cookies to cool and then remove from the parchment and fill as desired. A word of warning: press them together gently from the sides don't try to squeeze from the top! Leftover ganache and buttercream can be stored in the refrigerator for two to three days or frozen for future use. Pour cream over chocolate and let sit for 3 minutes. Stir to combine and let sit at room temperature till it thickens. 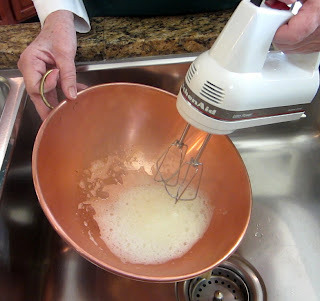 Beat, using a hand mixer, until well combined. 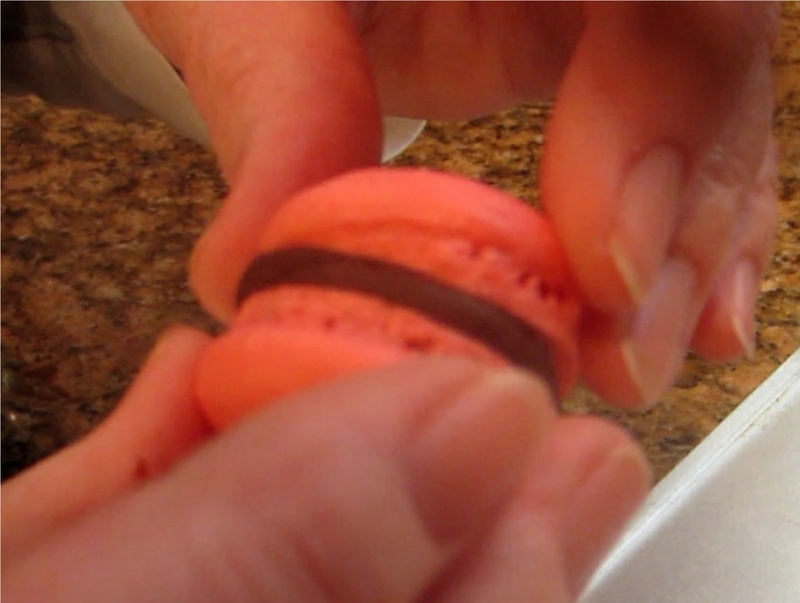 Add flavorings such as grated citrus peel, blackcurrant jam, etc. I'm sure you will come up with your own combinations - let me know what they are! Take a look at the video, you'll see that these are not nearly as difficult as they sound. Your recipe is the best! 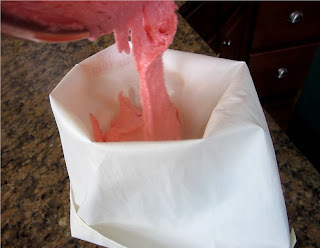 I used Martha Stewart's recipe before and it failed many times, yours works perfectly the first time. me encanta ,porque esplica ,detalladamente.